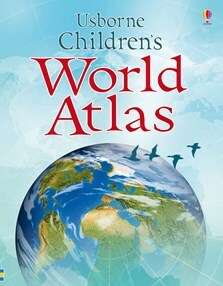 A comprehensive and newly updated world atlas with 60 pages of colourful maps showing countries, cities, towns, mountains, rivers, lakes and places of interest. Each continent is introduced with several pages of key facts, satellite views and information on major geographical features. Includes a map index, general index, gazetteer of states, geography quiz and time zones. Internet links to recommended websites to find out more about each continent, including virtual tours, games, activities and downloadable maps.